The painstakingly crafted world that J.R.R. Tolkien created for The Hobbit, The Lord of the Rings, and The Silmarillion is so vivid that itвЂ™s easy to briefly imagine Middle-earth as a real placeвЂ”even Tolkien himself had said it existed somewhere on Earth. From the languages spoken and the creatures that peopled it to the wars and cosmology, the richly imagined Middle-earth has left many artists and fans worldwide imagining what it would look and feel like to inhabit such a wildly inspired world. Tolkien left out no details in his picture so it is no surprise that Middle-earth has inspired such inventiveness in turn. 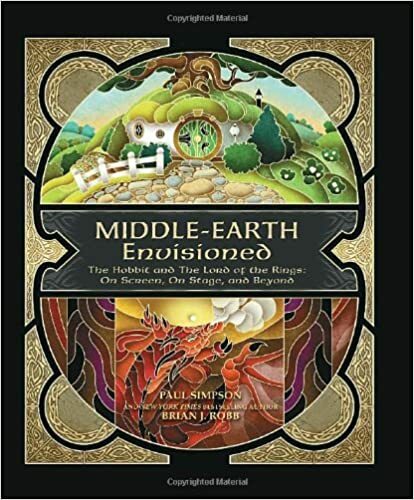 Middle-earth Envisioned is the first book to explore the artistic legacy left by TolkienвЂ™s world. Paintings, drawings, theatrical performances, radio serials, and films inspired by The Hobbit and The Lord of the Rings are all discussed in a manner that further illuminates the brilliance of TolkienвЂ™s creation. Readers will discover details surrounding an attempted Beatles live-action version (with Paul McCartney as Frodo Baggins), a nearly four-hour Canadian musical, the West End stage production of Lord of the Rings, and of course, the Peter Jackson filmsвЂ”including the Hobbit trilogyвЂ”and much more. In this beautifully illustrated gift book, discover the richness of Middle-earth anew, through the works of the artists inspired by it.